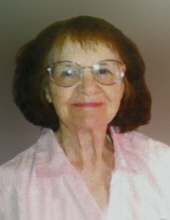 Betty Ruth Pajunen,94, of Midland, died peacefully in her sleep February 2, 2019 She was born Dec. 19, 1924, in Newberry Michigan in the Upper Peninsula to the late George and Nellie Trim. She attended Newberry schools and graduated from Newberry High. After WWII, she married the late Erland Oscar Pajunen Nov. 13, 1949 in Detroit, and had two sons. The late Charles Pajunen and Burton Pajunen. She spent much of her adult life in Midland raising her sons until moving to Sarasota FL in late 2008 due to health reasons. She was an American patriot who loved marching bands, reading books and going to the casino. She is survived by son and daughter in law, Burton Pajunen and Kimberly (Beehr) Pajunen both formerly of Midland, now residing in Sarasota. One Grand Daughter, Carrie Eileen Pajunen of Sarasota, Fl. Sister Jeanette Fulgenzi of Milwaukee WI Also, she leaves very large and loving family of nieces, nephews, grand nieces, and grand nephews. Local arrangements have been entrusted to the care of the Ware Smith Woolever Funeral Home. To plant a tree in memory of Betty Ruth Pajunen, please visit our Tribute Store. "Email Address" would like to share the life celebration of Betty Ruth Pajunen. Click on the "link" to go to share a favorite memory or leave a condolence message for the family.